A unique dining spot in San Juan, La Union, Tagpuan has an alfresco set-up that’s located on a sidewalk. 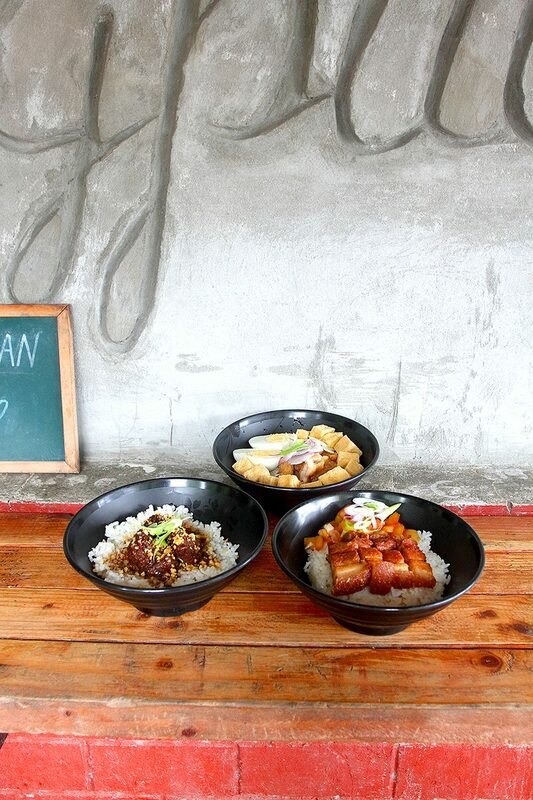 It serves comforting rice bowls like Golden Brown and Crispy Bagnet rice bowl, Pares bowl (best enjoyed with a drizzle of chili sauce), and Surfer bowl that’s packed with tofu, bagnet and egg. 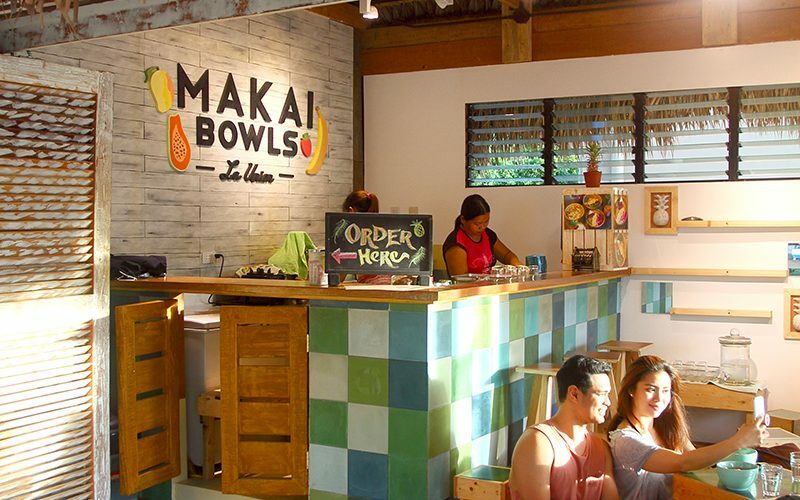 If you’re looking for an Instagrammable spot that serves healthy eats, Makai Bowls is the place to be. 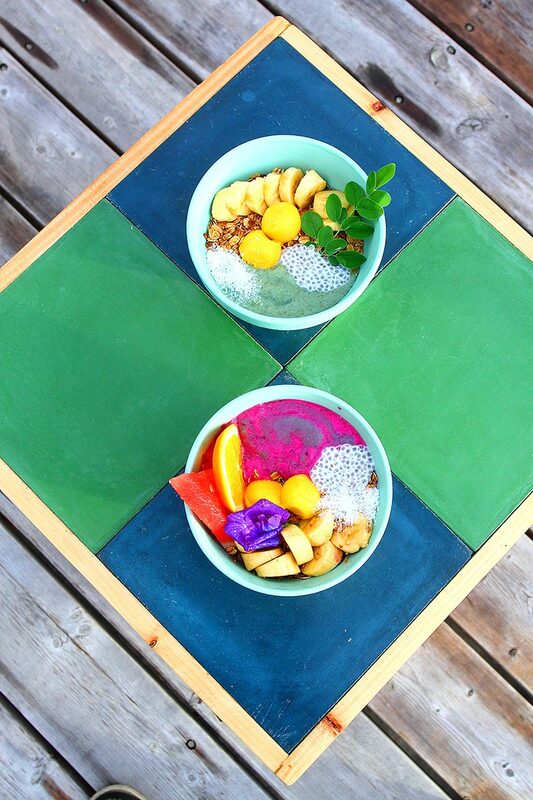 This dining spot serves colorful bowls loaded with fruits and superfoods. Try some of their best bowls like Beach break (banana, mango, and pineapple in coconut water flavored with moringa and spirulina) and Unicorn (dragon fruit, banana, papaya, and acai juice). Complete your visit here by watching the sunset on the veranda near the shop that’s facing the ocean. Address : The Great Northwest Philippines Travel Stop, National Highway, Brgy. Urbiztondo, San Juan La Union. Its name is already a clue to what Choka is all about. 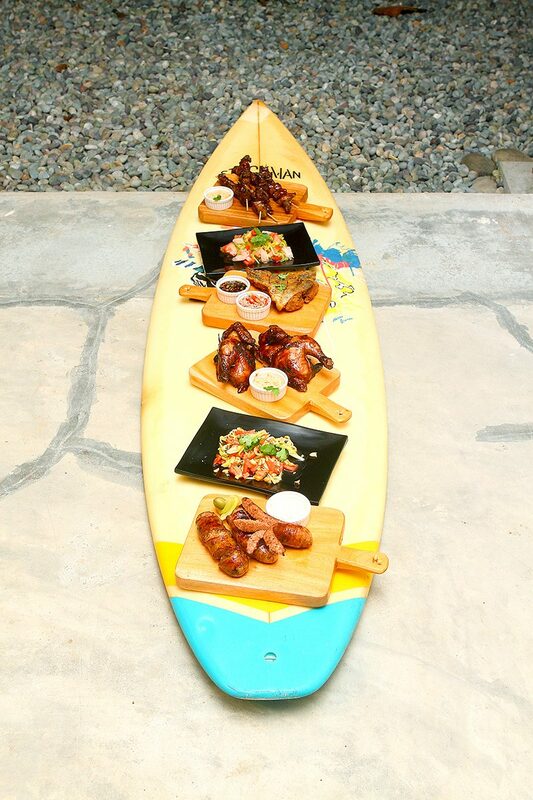 Choka (which means ‘awesome’ in surfer lingo), offers a menu that’s packed with comforting flavors. Start your foodie adventure by getting the Bitter Gourd Salad, which is made of ampalaya and pomelo. If you’re not a fan of ampalaya, you can have Choka’s green mango Thai salad. For main dishes, choose from their Chicken and Pork Barbecue and their homemade sausages. 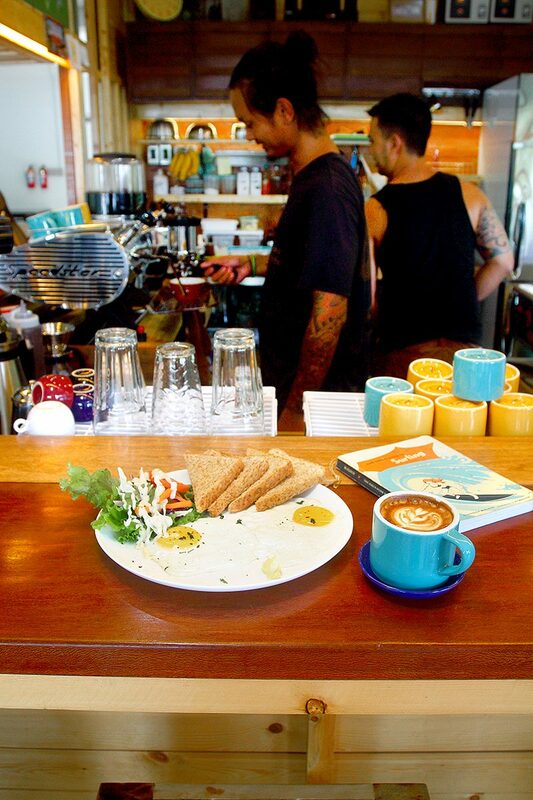 Get your caffeine fix at Clean Beach and grab breakfast while you’re at it. Only a few weeks old, the café is still developing more options for the menu, which includes Eggs and Toast and the Ohana Burger. One thing that makes this café different is their campaign to lessen plastic use. Thus, drinks are served in glasses or reusable bamboo cups that can be borrowed or bought. 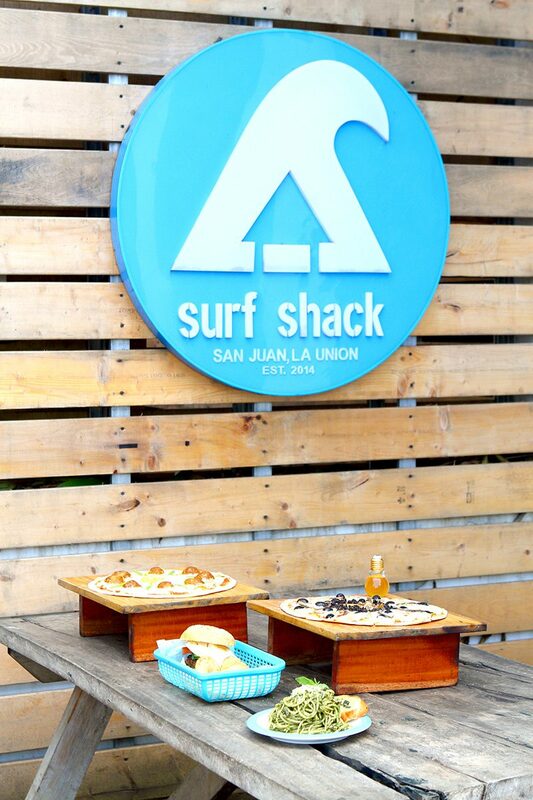 Celebrate your surfing milestone at Surf Shack where you can find pizzas and pasta made using ingredients found in La Union. Specialties include the Bacnotan Pizza that’s topped with locally made longganisa from the town of Bacnotan; Mommy Lu’s Gourmet Tuyo Pizza served with local organic honey; and Tinapa Pesto. Surf Shack also serves cocktails like Bang da Bass, a basi based cocktail infused with tropical flavors.